Former Bellowhead frontman Jon Boden has become the ‘stand out performer of his generation’ (The Guardian) of traditional folk artists, but one whose repertoire extends far beyond the boundaries of the genre. 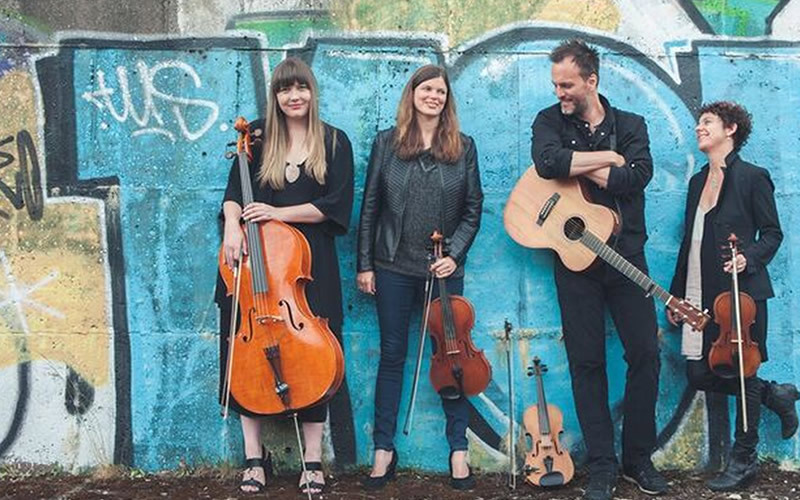 Drawn from the line-up of Jon’s genre-busting big band The Remnant Kings, Jon Boden & The Remnant Strings features Jon Boden (fiddle, guitars, concertina, stomp-box), Helen Bell (viola), Morven Bryce (violin) and Lucy Revis (cello). They bring the music of his 2017 album Afterglow, which explores stories from a post-oil world, interspersed with songs and tunes from across Jon’s eclectic interests and career.